Hand Blended Natural Perfume using nothing but precious natural ingredients. No synthetic ingredients whatsoever. Our perfume oils are blended with organic jojoba oil, an oil actually good for your skin and helps the scent of your perfume last longer. 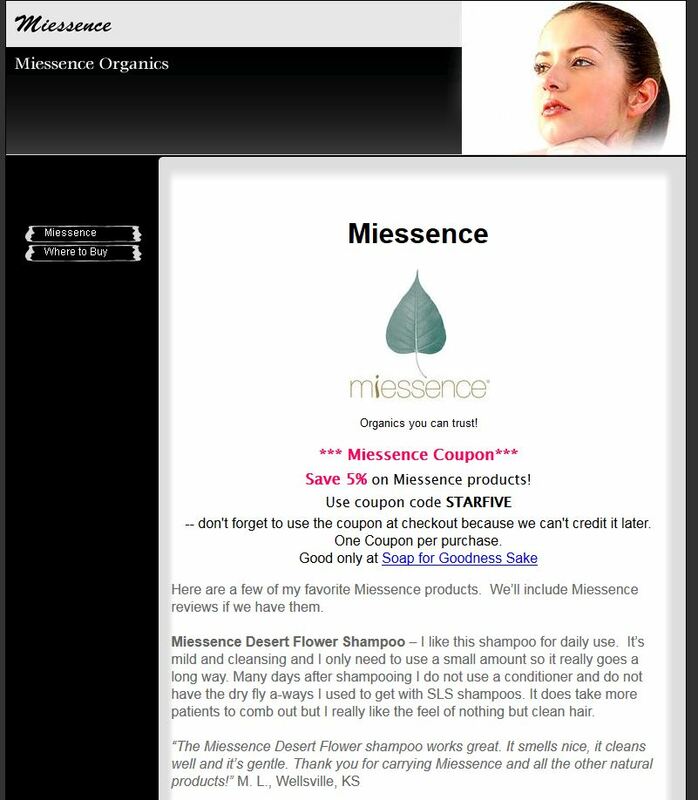 Miessence Desert Flower Shampoo – I like this shampoo for daily use. It’s mild and cleansing and I only need to use a small amount so it really goes a long way. Many days after shampooing I do not use a conditioner and do not have the dry fly a-ways I used to get with SLS shampoos. It does take more patients to comb out but I really like the feel of nothing but clean hair. Miessence Lemon Myrtle Shampoo – I like this shampoo when I feel like my hair needs a good deep cleansing. This takes just a very small amount to lather up very well! People with oily hair like to use this daily. Miessence Shine Herbal Hair Conditioner – Using the Desert Flower shampoo I find that I do not need a hair conditioner after every shampoo but when I’m in the mood for a conditioner or days when I feel like my hair would benefit from it. Again, I use only a small amount to condition and really like that it does not weigh down my hair and adds shine and of course is easy to comb out after shampooing. I’ve read in places that some people so not like the scent of this conditioner but personally I love it. I guess the scent is a matter of personal preference. Miessence Shape Hair Styling Gel – I’m not a big styling gel user but I really like this styling gel. I use it to scrunch my hair some days when I don’t feel like doing much to it and I use it before rolling my hair up in Velcro rollers and it works as a good setting gel. Miessence Luxurious Body Powder – There are times when I’m really thankful for a body powder particularly when the mercury rises to triple digits. I’m also thankful it is talc free and has 90 percent organic ingredients. Miessence Deodorant – The Miessence Ancient Spice deodorant is actually my favorite because I think it works a tad better than the other 2 deodorants. The scent is very light and is undetectable after a few minutes anyway. At least I think so. I realize that everyone is different but I think this is the best natural deodorant out there. The 2 other scents are Tahitian Breeze and Aroma Free. Those work fine too. I just think the Ancient Spice work a little better. Oh, and in case the ball becomes stuck, just run it underwater until it loosens.